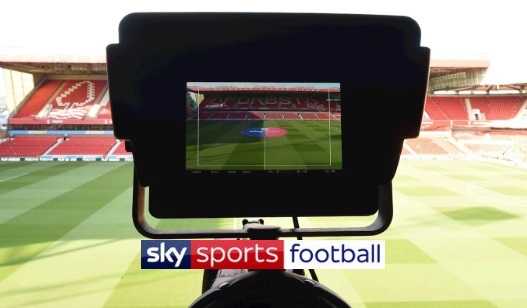 EFL has signed controversial £595 Million deal with SkySports to be the main broadcaster over the next five years from Championship to League One and League Two. SkySports can show as many as 138 games a season which initially was a roadblock in the proposed deal as many clubs were against it. But no other network made the bid and EFL had no choice but to accept the 5 year deal which will cost SkySports £119 million a year. The new TV deal will run from 2019 to 2024. SkySports will also get Caraboa Cup’s 15 matches including some playoffs, Semifinals and the finals plus the final of Checkatrade Trophy. The deal represent a much greater value for money as far as SkySports are concerned if we compare EFL deal to that of Premier League where Sky and BT Sports pay around £10 to £12m per match according to current Premier League TV Deal. However the deal was only signed after EFL failed to get any alternative offer to that of SkySports proposal. There were as many as 15 clubs against the deal but after no alternative showed up, club agreed for the SkySports deal but pushed for just yearly deal. However EFL accepted the 5-year offer from SKySports worth £595 Million and they might still face rebellion from some of the clubs in Championship. What SkySports get with the deal ? SkySports can show 138 EFL matches including all playoffs from Championship, League one and League two. Caraboa Cup 15 matches plus Semifinal & Finals of Checkatrade Trophy. Minimum 20 league games from League one and League two every year. What Club Get ? The new deal see 30% increase on the previous TV deal which means clubs in England lower tier get bigger numbers in TV money. Championship clubs can show their games live through their own channels.